Boba Fett, one of the most notorious bounty hunters in the Star Wars galaxy, is coming to Star Wars: Legion as the games first operative. Within the Boba Fett Operative Expansion, youll find everything you need to add Boba Fett to your Imperial army as an operative dominating entire sections of the battlefield on his own. 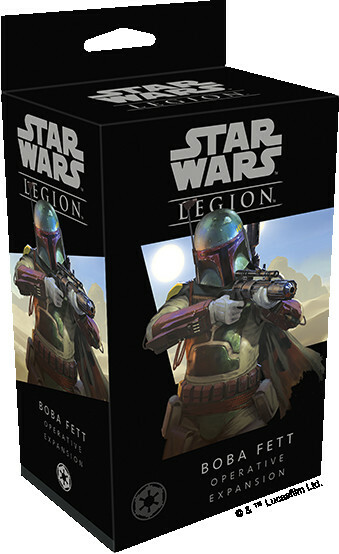 This expansion includes an unpainted, easily assembled Boba Fett miniature taking flight after his next target, alongside a unit card outlining his numerous skills and deadly array of weaponry. Additionally, Boba Fetts three signature command cards and an assortment of upgrade cards let you access even more tricks tucked away in his intimidating Mandalorian armor.